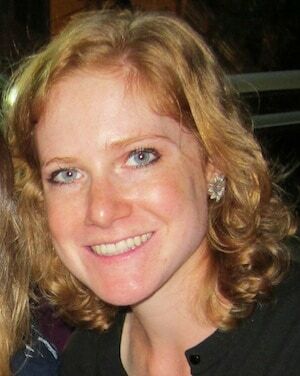 Jennifer Liebschutz is the development associate for Digital Divide Data (DDD) in Phnom Penh. DDD is an internationally acclaimed social enterprise and Impact Sourcing Service Provider that create jobs for talented young men and women who deliver high-quality content business process outsourcing services to clients globally. As part of DDD’s mission, we provide scholarships to university and English lessons for our operations staff, enabling them to find sustained higher-income jobs after graduation. As the Development Associate, Jennifer identifies fundraising opportunities in Asia, works to increase DDD’s regional visibility, and assists with alumni and external relations. She recently coordinated DDD’s annual impact survey of current program participants and alumni in Laos and Cambodia. Previously, Jennifer taught English for DDD and worked for a local Buddhist NGO in Battambang, Cambodia. Jennifer holds a BA in Religion from Wesleyan University and is originally from Albany, New York. When we launched Digital Divide Data as a social enterprise in Cambodia in 2001, we quickly realized that providing work opportunities to disadvantaged high school graduates was not enough. In time, we saw that our work-study participants were able to access new professional opportunities and earn higher incomes. Twelve years later, we hope this impact can be scaled up by our organization and others to include many more people and communities around the world. In the past, DDD hired an outside research firm to interview our alumni and current program participants face-to-face. This process was time-consuming for both the interviewers and interview subjects, and it was difficult for us to obtain data from alumni living in far-flung provinces and rural areas. This year, we switched to an online survey.